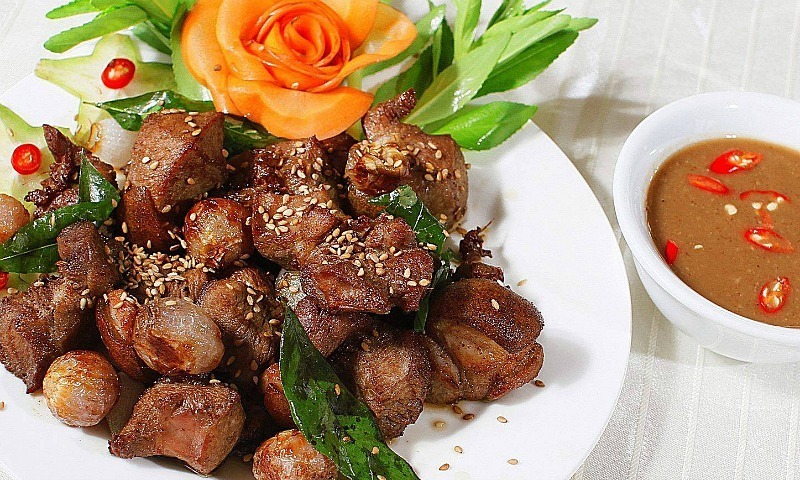 Vietnamese Grilled Goat Meat With Sa-te Sauce Recipe (Dê Nướng) is one of the most impressive specialities of Ninh Binh, Vietnam. With only 4 simple steps, you can make this special meal for your family to enjoy in the cold weather. Wash the goat meat with the clean water and slice them in small pieces. Next, soak the sliced meat for 30 minutes with wine and chopped ginger. Then rinse off with clean water. Let the goat meat drained and then marinate for 15 to 20 minutes to penetrate evenly into the inside. Chop up garlic and chili pepper and then mix them with Chao sauce. Add sugar and MSG to it depending on the taste of your family. Sprinkle with sesame seeds onto the marinated goat meat, pour some cooking oil into it, mix well, and then put on the grill. You will grill the meat until it look ripe and yellow. When eating you mix sa-te sauce with dipping sauce and serve with vegetables and herbs such as lettuce leaves, basil, and cucumber. 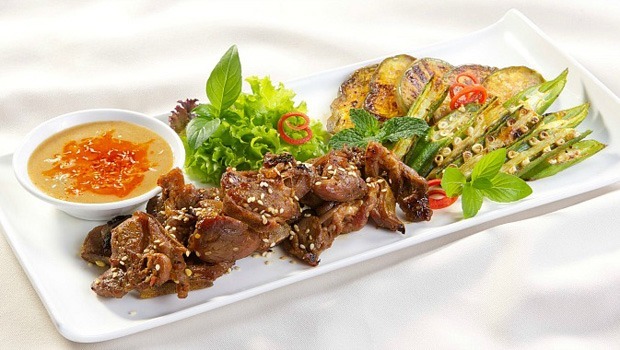 Grilled Goat Meat with Sa-te Sauce will be delicious if it is still hot.